At Hunter Nissan, we know that a progressive mindset is essential to success. That's why we're proud to represent the ideas, research and work that Nissan has contributed to the future of the automotive field. 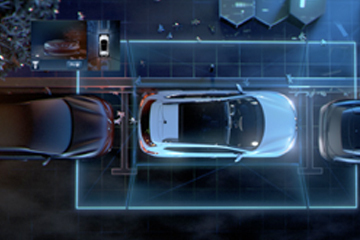 Nissan's Intelligent Mobility initiative redefines transportation and makes it better for everyone. 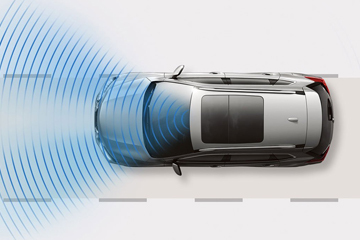 This technology makes driving less of a hassle and more of an engaging and connective experience. Many of these technologies are already available in a number of Nissan models on the market right now, and there are several exciting things still to come. Find out how Nissan Intelligent Mobility is making this, and more, possible. 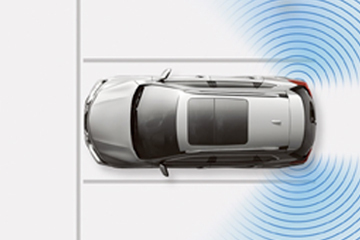 With the technology already available with Nissan models on the road today, you can have peace of mind that you're driving a smart vehicle that will work with you as you drive. This technology is able to tell you when you should slow down before you even know what has traffic stopped. Your blind spot doesn't exist anymore thanks to this feature, which gives you a slight nudge if you start moving over and something is there. Drifting out of the lines is a thing of the past. This intervenes if you start to move out of your lane. Checks behind you and automatically brakes for objects you can't see when you're backing up. Multiple cameras around the vehicle enable you to see things around you that otherwise wouldn't have been visible. You'll always follow at a safe distance with this feature. 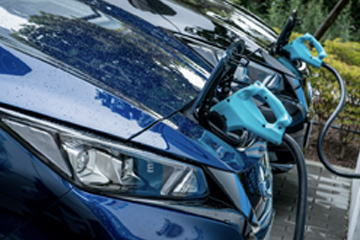 Nissan currently has more than 2,000 quick charge stations across the U.S.
(1) FEB cannot prevent accidents due to carelessness or dangerous driving techniques. It may not provide warning or braking in certain conditions. Speed limitations apply. FEB with pedestrian detection is not a replacement for responsible driving. May not provide warning or braking in certain conditions. Limitations apply. See Owner’s Manual for details. (2) Not a substitute for proper lane change procedures. 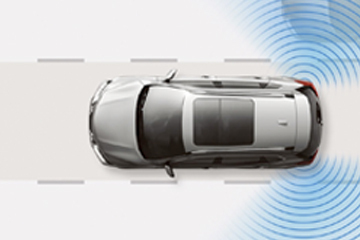 The system will not prevent contact with other vehicles or accidents. It may not detect every vehicle or object around you. (3) Not a substitute for proper lane change procedures. 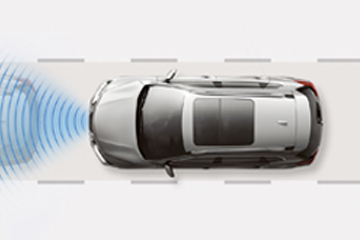 The system will not prevent contact with other vehicles or accidents. It may not detect every vehicle or object around you. MOD cannot completely eliminate blind spots and may not detect every object. MOD operates at vehicle speeds below 5 mph. Always check surroundings and turn to look behind you before moving vehicle. (4) MOD cannot completely eliminate blind spots and may not detect every object. MOD operates at vehicle speeds below 5 mph. Always check surroundings and turn to look behind you before moving vehicle. 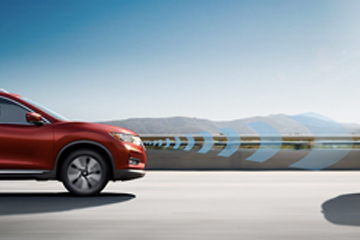 (5) Intelligent Cruise Control is not a collision avoidance system or warning device. Designed to use limited braking. Failure to apply the brakes could result in an accident. (6) Public charging networks are provided by independent companies, and are not within Nissan’s control. Availability of charging stations not guaranteed.